Phil Babb sees shades of Republic of Ireland legend Paul McGrath in Liverpool defender Virgil van Dijk. Babb played famously played alongside McGrath at the Giant's Stadium at USA 94, shutting out the Italians in a memorable World Cup victory. 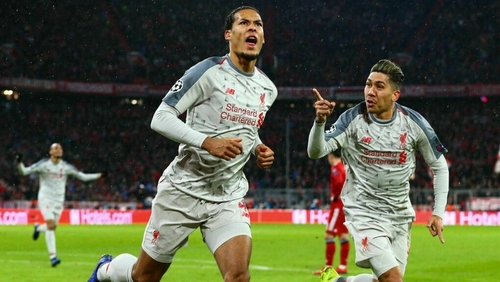 Then a fresh-faced youngster who had broken through at Coventry City, it was McGrath's nous and ability that coaxed an outstanding display from Babb - arguably his best moment in green - and he believes Van Dijk is having a similar impact on Merseyside now. 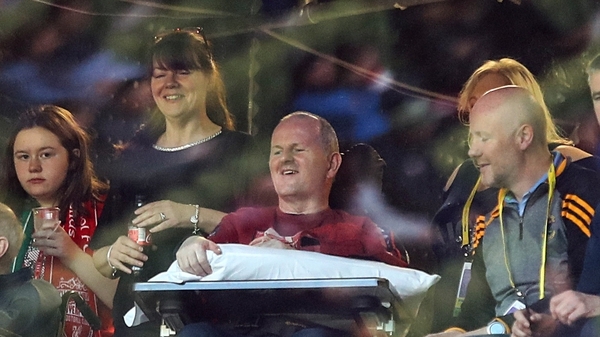 "There'd be a lot of similarities with Paul McGrath," he said after the Sean Cox charity game. "It was an absolute joy to play with Macca. I loved it so much. You can see what Van Dijk is doing with the likes of Joe Gomez and Trent Alexander Arnold. They are learning so much. He's been a breath of fresh air. His attitude and desire to win games and keep clean sheets. "That spreads through the team." "It was an absolutely fantastic night"
Babb reflected on an emotional night at the Aviva Stadium, as 27,000 fans turned up to support Cox - himself in attendance - after he suffered horrific injuries following an attack by two Roma fans outside Anfield a year ago. "It was an absolutely fantastic night, I can't thank the fans enough," said Babb. "It was an emotional night. When they flashed Sean's image up on the big screen, the lads saw that and we actually clapped. It's a long road ahead of him and he's making progress. We'll do everything to help him." As for his old club's Premier League title, not to mention Champions League chances, Babb is optimistic. "They can win the league. All Liverpool can do is win every game in front of them," he added. "They're in great form at the moment and they're in a good position. If you want to in the title you've got to beat teams like Chelsea. "Klopp is a fantastic manager. The modern game is about man management because you've got squads full of stars and egos and everyone wants to play. The club has been built on being in this position. Let's go win both."